Make your Trollbeads collection complete by combining the silver or golden Trollbeads with some pearls. 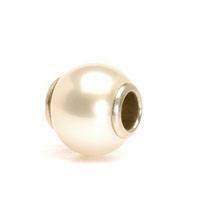 Trollbeads uses freshwater pearls that are lined with either silver or 18k gold. Sol these pearls will fit either with your gold collection or the silver Trollbeads collection. 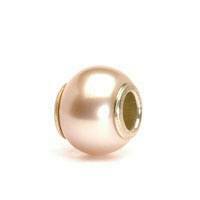 See the examples from the Trollbeads pearl collection. Trollbeads indicates that the pearls are seen as tears of heaven or the delicate reflection of the moon. Note: By compiling this overview for the Trollbeads Pearl Collection we tried to be as accurate as possible. Although it might be possible that the appearance for the real Trollbeads might be different. Also the specifications for each Trollbeads might be different in reality due to last minute changes by Trollbeads or due to human error on our side. From the information on this site no rights can be derived.